Most people may know Stewart Butterfield as one of the founders of Flickr, who sold the company off to Yahoo for $25 million in 2005. 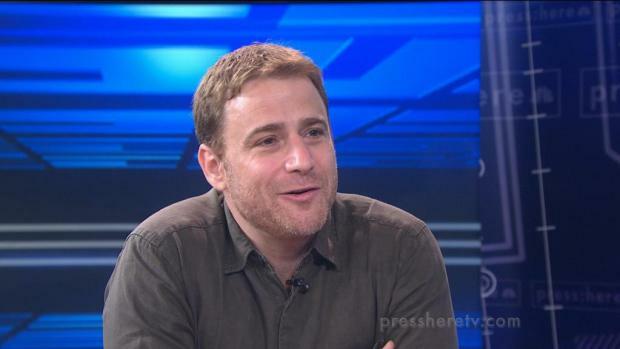 Now his new company, Slack, a new team communication platform, is valued at $2.8 billion. The impetus behind Slack is that email is too clunky, and worker drones need a better way to see what everyone is saying and have archive access. "By organizating people into channels or specific projects, you get an ambient awareness," Butterfield told Press:Here. Instead of sending a ticket to a company's help desk to fix something, the department could notice a lot of chatter online about a computer problem. Instead of waiting for a fix-it ticket, the tech team could proactively try to fix it -- all because they were able to see what the rest of the company was talking about. Slack actually came out of another startup by Butterfield, a video gaming site called Glitch, which never really caught on. After a while and $17 million in venture capital funds, Butterfield realized it was never going to be a moneymaker. However, his team realized it wanted to keep using the same messaging platform they created. This made Butterfield pivot to Slack as a new startup for companies who want a more open communication platform. Butterfield - now CEO of Slack - joins the crowded effort to replace work email. Butterfield said the name comes from his attempt to lessen the tension around office communications. "Having slack gives people room to play and explore," he said.